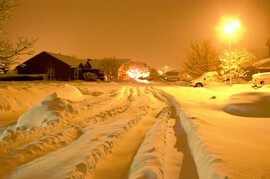 Blizzards are quite common among those who live in the midwest and on the east coast of the United States. Although the last few years we’ve had some very freaky weather in places that normally would not see such weather. 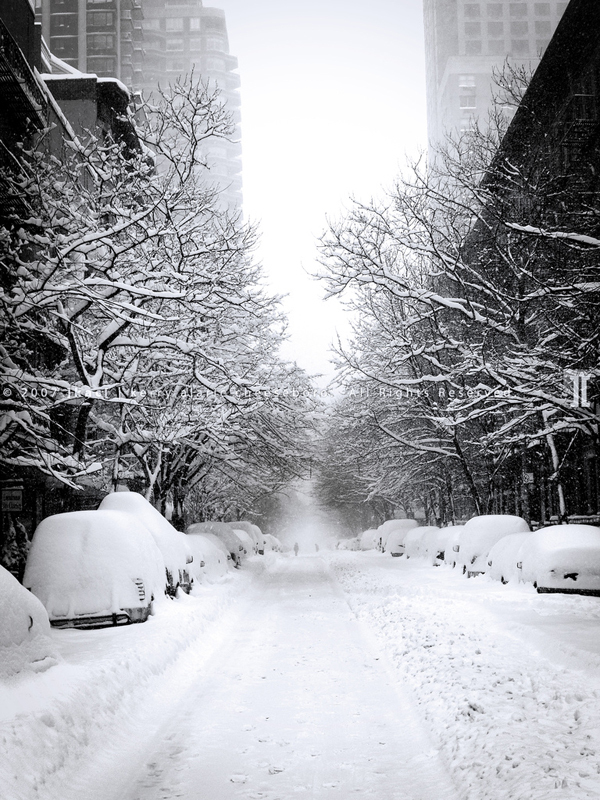 So even if you think you’re safe, it doesn’t hurt to know what to do to prepare for a blizzard! A winter storm WATCH means a winter storm is possible in your area. A winter storm WARNING means a winter storm is headed for your area. A BLIZZARD WARNING means strong winds, blinding wind-driven snow, and dangerous wind chill are expected. Seek shelter immediately! #1 Keep a bag of warm clothing handy. Ideally, you’ll want one bag for everyone in your family, and you should keep it in a closet that is easily accessible. If your power goes out, you probably aren’t going to want to go looking for warm clothing in the dark. Having a bag of clothing in your coat closet in the living room, for example, can help you avoid this. #2 Pay attention to the local newscasts. Some people hear about storms, but figure they’ll worry about it when and if it happens. This is the worst attitude to have. People can die in blizzards, so being prepared is critical. If your local weather newcasts are calling for a blizzard, prepare ahead of time. That way, even if the blizzard doesn’t hit, you will be ready for the next one. Better to be safe than sorry later. #3 Make sure you have plenty of blankets on hand. If your power goes out (and in most cases with severe winter storms it does), you could be without power for a day or two, so staying warm is critical. Even if you don’t heat with electricity, there’s no guarantee that your heating source — whether it is gas or some other form of heating — is going to be working properly during a winter storm. #4 Keep several flashlights, batteries, candles and lighters on hand. It’s probably better to use flashlights rather than candles when at all possible — because with candles you run the risk of accidentally starting a fire. While the majority of us are very careful and remember to blow out candles when we’re not in the room with them and practice other candle safety techniques, the risk is still there. Your house could burn down with you in it before anyone could ever make it to your home in time to help you due to poor road conditions and other storm-related delays. Candles should really only be used as a backup, in the event that your batteries go dead in the flashlight or something. #5 Charge all your cell phones ahead of time. If the local weather reports are telling you that a blizzard is going to hit, be sure to charge all of your cell phones before the power goes out. Sometimes a cell phone is the only contact you have with the outside world during a storm. And, in the event you need help in a hurry, you won’t want to be without phone service! So, charge your cell phones ahead of time and then don’t use them except for emergencies during the storm. #6 Stock up on nonperishable foods. Since you never know how long a blizzard is going to last, it’s important to stock up on lots of nonperishable foods — such as canned goods that you don’t have to heat (pork & beans for example), bread and margarine, fruits and vegetables that can stand being at room temperature for a few days (such as apples, bananas, and oranges), even low-fat cookies and chips can help cure hunger pangs in a pinch. The thing is… if you prepare ahead of time, then you can be sure to have plenty of nonperishable, healthy foods available for your family to eat during the storm. Another reason to get nonperishable foods is if the power goes out, you won’t find yourself trying to eat up food before it spoils and wondering what you’re going to do when it runs out. #7 Stock up on bottled water. You will need at least a gallon of water per person per day. While it’s possible you will still have water from the tap available even if your power goes out, it is still a good idea to have clean drinking water on hand just in case. There is always the possibility that your pipes could freeze or something else could happen to prevent water from flowing out of your faucet. TIP: If you let your faucets drip ever so slightly, this will help to prevent the pipes from freezing in the winter. #8 Have things on hand to keep your entire family entertained while you wait out the storm. While blizzards can seem really cool — particularly if you love snow — they can also be very dangerous. High winds and blowing snow can create white-out conditions, making it easy for you to get lost just a few feet from your front door. While your kids may be clamoring to go outside and play in the snow, keep them indoors until the worst of the storm has passed. No amount of snow angel or snowman making activities are going to be worth it if you or one of your kids gets lost in a white-out. Typically, these storms hit in well below freezing temperatures — meaning the possibility of frostbite and hypothermia setting in quickly is a real possibility if you or your child gets lost. It’s not worth losing a life (or fingers or toes for that matter) just to kill the boredom and have a little winter fun. #10 Turn off the heat in rooms where people aren’t hanging out. Also, close the doors to those rooms. Take the time to cover up any space underneath doors or other cracks where you notice cool air is coming in. This will help to preserve as much heat as possible inside your home, in the event the power goes out. If you follow these 10 tips, then you should be able to survive a blizzard or any other snowstorm successfully.